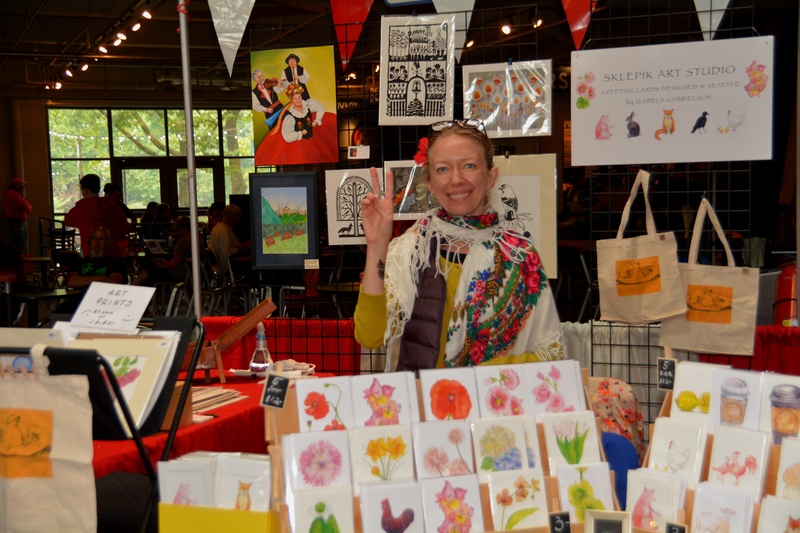 From traditional to contemporary, the festival is pleased to welcome a variety of entertainers. 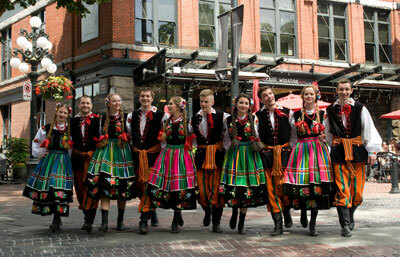 See folk dancers performing in traditional costumes, and listen to traditional Polish folk music and singing groups. You can also listen to a concert pianist playing Chopin, a local jazz ensemble playing music by contemporary Polish composers, or watch a performance of a rhythmic gymnast champion. See below for our full line-up. Check the Schedule for performance times and location. Born in Lodz, Poland, Paweł Chęciński began piano studies at the age of six. 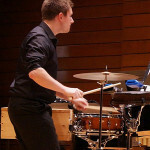 He received the Master of Arts degree with honors from the Music Academy in Warsaw. 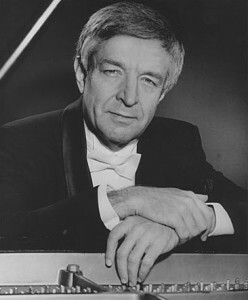 In 1971, Mr. Chęciński was awarded a Fulbright Grant by the U.S. Department of State to continue his studies at The Juilliard School where he earned both a Master of Music degree and a Doctor of Musical Arts degree. Mr. Chęciński has been successful in numerous international competitions in Poland, Czechoslovakia, Australia, the United States, and Brazil. Paweł Chęciński made his first major appearance outside of Poland at the Moscow Conservatory. His reputation as an outstanding and highly original interpreter of the music of Chopin secured his premiere performance in the West, which took place at the Wigmore Hall in London, England. His U.S. debut occurred at Carnegie Recital Hall in New York, which led to performances in places such as Lincoln Center, Philadelphia’s Academy of Music, and Chicago’s Auditorium Theatre and Orchestra Hall. Mr. Chęciński’s extensive performing career has spanned five continents. This international exposure has afforded him with what he considers to be the invaluable opportunity of communicating with people of diverse national and cultural backgrounds through his music. Paweł Chęciński is a Steinway Artist. Knife In The Water is a quartet of American jazz musicians led by the bassist Paul Gabrielson. The group will celebrate the compositions of the legendary Polish composer and pianist Krzysztof Komeda, well known for his music written for Roman Polanski’s movies, such as “Rosemary’s Baby” and “Knife in the Water” – which the quartet took its name from. They will also pay tribute to the great Polish Jazz musicians Tomasz Stanko and Michal Urbaniak. Knife In The Water will feature: Paul Gabrielson on bass, Dan Kramlich on piano, John Bishop on drums and Thomas Marriott on trumpet. Małgorzatki is a musical group that banded together back in 2012 and is led by the main guitarist Kazik Kordula. It originated from the church of St. Margaret of Scotland but their repertoire encompasses more than just liturgical music. They also delve into Polish rock/pop ballads, patriotic and cultural music and more. The current members consist of six vocalists, two of which play the violin, along with a trumpeter and a pianist. The mostly adolescent Małgorzatki absolutely love playing music and have various musical backgrounds which contribute to the overall sound of the band. The Małgorzatki group members in random order are Monika, Marysia, Basia R., Gosia, Antek, Zuzia, Basia O., Karolina, and Kazik. 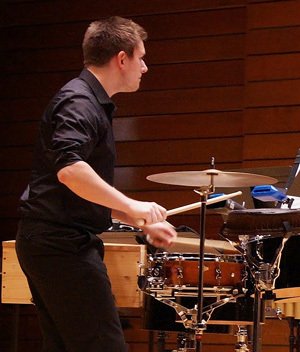 Adam Dopierala, Bobby Odle and Jacob Gilman are percussion students at Central Washington University in Ellensburg and study different types of percussion instruments. 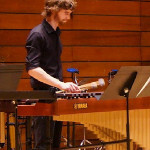 Every year, the CWU Percussion Studio performs at the Northwest Percussion Festival, as well as at fall, winter and spring concerts in the CWU music concert hall. The Studio is also involved in performing with Central’s Bands, Wind Ensembles and Orchestra. Paying homage to Adam’s Polish roots, the trio will include a selection of Chopin compositions in their program. 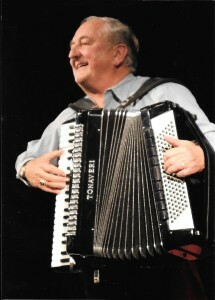 Andy Mirkovich brings an exceptional talent to the festival again this year as our wandering accordionist. Sharing his talent and music has always been a passion and joy for Andy. Whether piano or accordion, Andy has the ability to reach each person, touching their heart and soul with a special gift of music they carry away with them. Andy’s musical training began with the study of accordion at age 5 and on through graduation from Seattle University with a Bachelor of Arts in Music & advanced degree in composition from the University of Washington Graduate School of Music. Andy was the featured performer at the Space Needle Restaurant for II years and has performing experience in radio, television, movies, commercials, recordings and concerts. He has performed with icons of the entertainment industry. 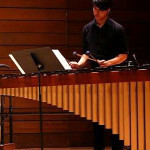 He has played for kings, queens & peoples worldwide, and has been called on to adjudicate and perform at music festivals all over the Pacific Northwest. 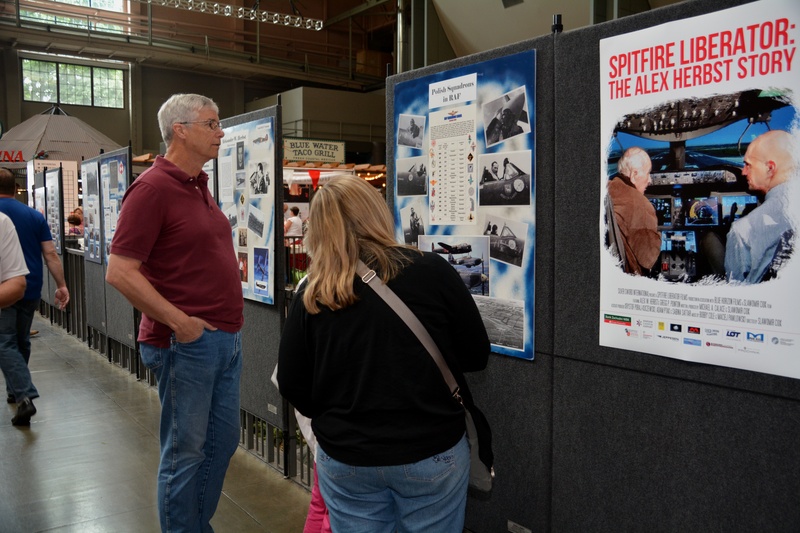 As founder of Andy Mirkovich Productions, he developed and brought the best of talent to the public, corporate and private event industry in the Northwest. 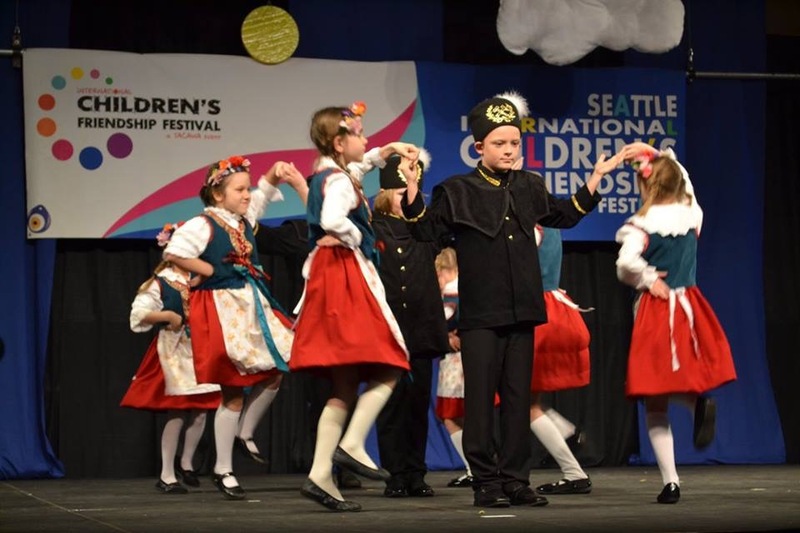 Młodzi Polanie, Children’s Polish Folk Dance Group from Seattle, has a long history in the Seattle Polish community. It was formed in 1964 by Barbara Strutynski, who is still working with the group. 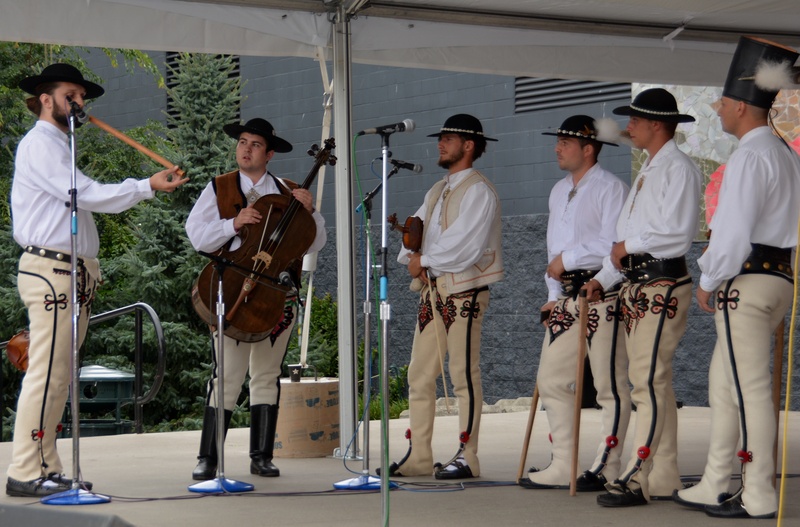 Over the years, Młodzi Polanie have shared the tradition of Polish songs and dances with several generations. The present group ranges in age from 4 1/2 to 12 years old and was formed half a year ago. The previous group of children, formed 10 years ago and grown up now, supports the youngsters. 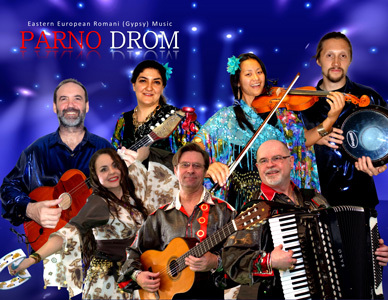 Polish Festival Seattle is pleased to welcome back PARNO DROM – a group formed by Bob Kozak, a talented accordionist and vocalist. The group performs Eastern European gypsy style music and their repertoire includes music from Russia, Poland, Hungary, and beyond. They sing in the original language of each song including the Romany language of the Gypsies. 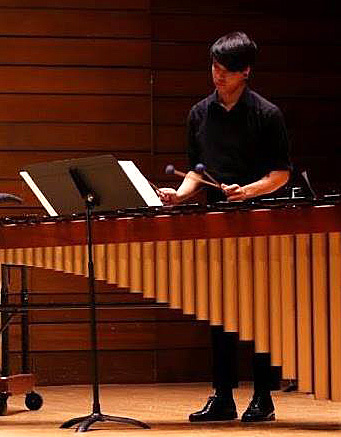 As musicians they have performed internationally: Japan, England, Russia, Poland, Germany, and USA, to name a few. The Polish folk dance group, Polonez, was founded in 1989 through the initiative of Steve and Lucy Ozdoba and choreographers Jacek and Malgorzata Niemirski. Twenty five years later, the dance group is an integral part of Vancouver’s artistic and cultural life. 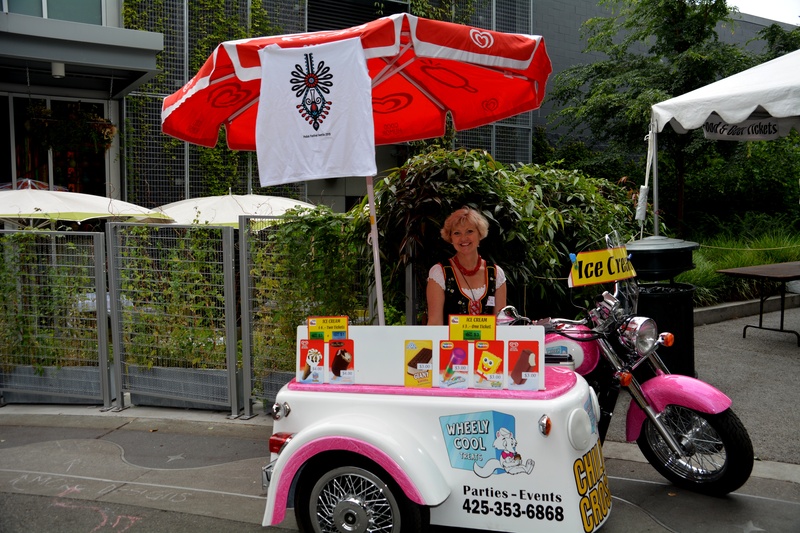 Over the years, Polonez has become a permanent fixture at a variety of multicultural events in the Greater Vancouver area, all over BC, Canada, and abroad. In October 2005, Polonez become a non-profit organization. 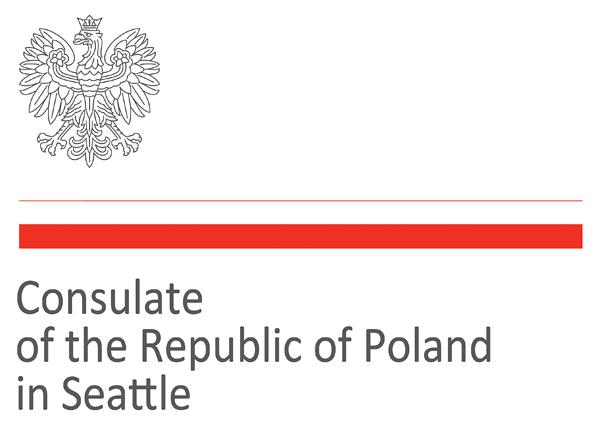 The success of the group has been possible due to the strong support of the Polish community and hard work of the parents volunteers involved with Polonez for many years. Polonez is one large family! Siumni is a folk ensemble based in Chicago, Illinois made up of dancers, singers and musicians from southern region Poland, as well as from the U.S.. They perform dances, music and songs from the Polish Highlander culture and give audiences a true dose of Polish Tatra Mountains tradition. The group was created 14 years ago in 2001 and has performed all over the United States during numerous festivals. 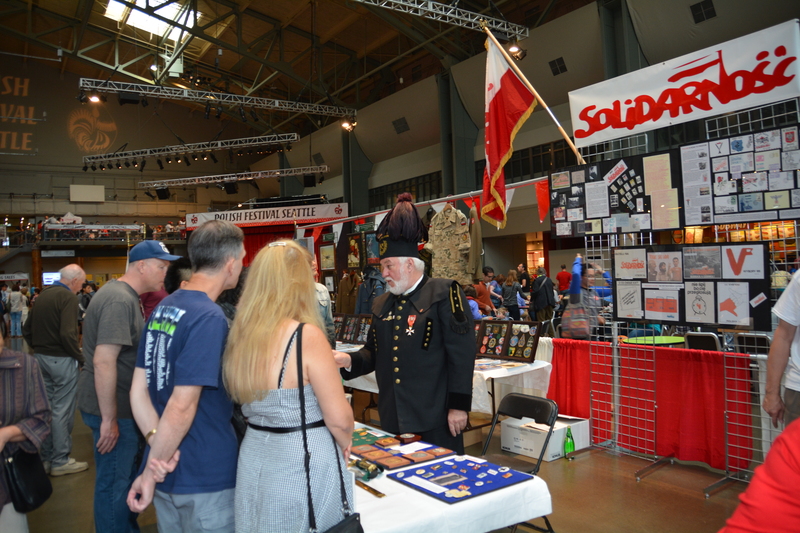 Siumni represents the Polish Highlanders Alliance of North America and performs the traditional Polish Highlander dances of the region. 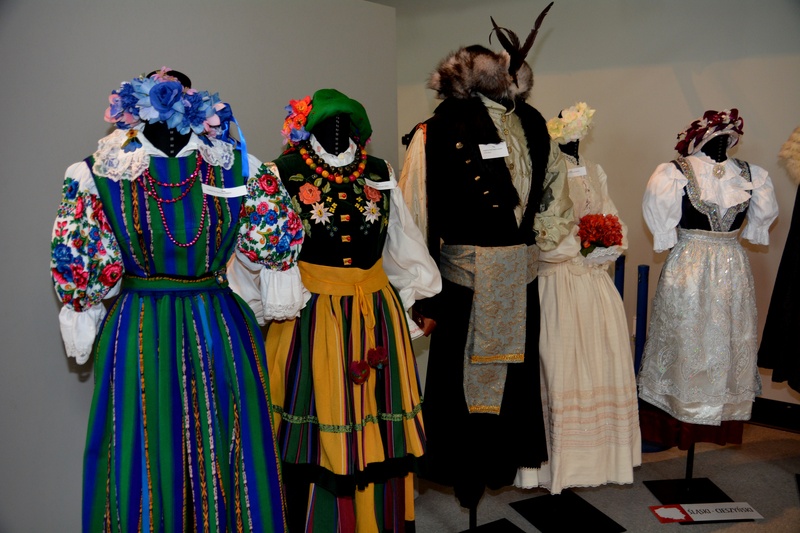 The costumes are hand-made in Poland, as well as in the United States by talented individuals who continue the work of their Góral ancestors. Gosia Staszewska is a professional rhythmic gymnast, lyrical dancer and choreographer. She began training with the Warsaw Ballet School at the Polish National Opera when she was four and was introduced to rhythmic gymnastics a year later at Warsaw’s Palace of Culture. By the time she was seven, Gosia’s impressive dedication and natural talent was impossible to hide. She was invited to train in the prestigious Legia Rhythmic Gymnastics Club of Warsaw which had already produced numerous national and top 10 world champions. Gosia’s passion and skills in rhythmic gymnastics and dance continued to grow as she represented Poland in many international youth rhythmic gymnastics championships as well as guest performances in several televised world dance competitions. Her unique choreographies combine graceful elements from ballet and gymnastics with amazing flexibility to create powerful and moving performances which leave audiences with unforgettable sensations. Gosia is a four time Polish Rhythmic Gymnastics National Youth Team Member (Mazowsze Champion/ Poland) and a three time USA Region 2 Junior Olympic Team member 2012-2014, as well as the 12 state Region 2 USA Champion and Athlete of the Year for 2013, 2014 and 2015. In 2010, Gosia won the Tournament of Champions “LA Lights” in Los Angeles, California and has also received the top medal awards in International Rhythmic Gymnastics Tournaments around the world, including Belarus, Czech Republic, Poland, Canada and Seattle. Gosia trains at Lake City Rhythmic and Dance Academy in Idaho coached by Kasia Ames. 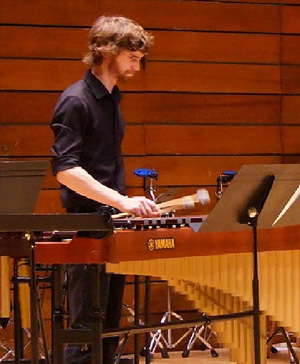 Matt Strutynski grew up with a very eclectic introduction to the world of music, singing in his church’s choir and performing with the Polish children’s group, Młodzi Polanie, singing traditional Polish folk tunes. His parents, however, listened to 80’s heavy metal music like AC/DC, Scorpions, Iron Maiden and Aerosmith. So, from an early age he, was torn left and right by very different styles. But Matt’s love affair with music didn’t truly begin until high school when he discovered punk rock. He threw together a three piece punk band and never looked back. From there, he went on to play in a new age rock band that opened his eyes to mixing electronic music and distorted guitar. 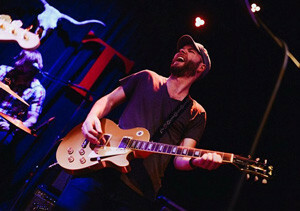 Craving more and looking for emotional release, he stumbled upon the raw energy and emotion behind alt country. This eye-opening discovery broadened his influences in music. Since then, he’s been attempting, ever so diligently, to be able to portray even a shred of that emotion through his own music, whether it’s a folk song, or a rockin’ number that he writes for his local band, Van Eps. Every word of these songs is from his heart and has great meaning. “Vivat Musica!” choir was established in March of 2004 by Barbara Niesulowski. 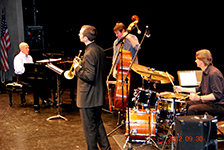 Since then the group has performed in more than 100 concerts across the United States, Canada and Poland. The repertoire includes patriotic and folk songs, sacral compositions and Christmas concerts. 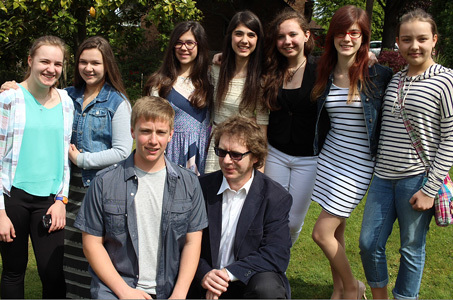 For the past two years the choir worked under the music direction of Scott Fikse (previously: Anna Sawicka). Maria Grabowska serves as music consultant, piano accompanist and program creator. 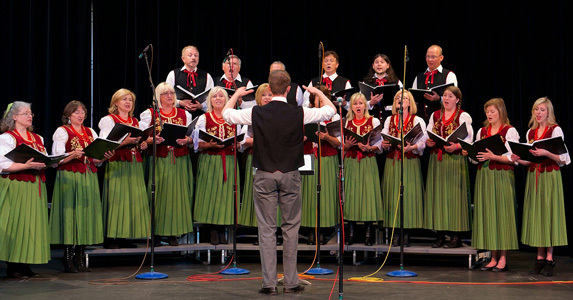 At the Festival, the choir will present a medley of Polish folk songs with some Polish traditional songs and songs by legendary Polish composers.